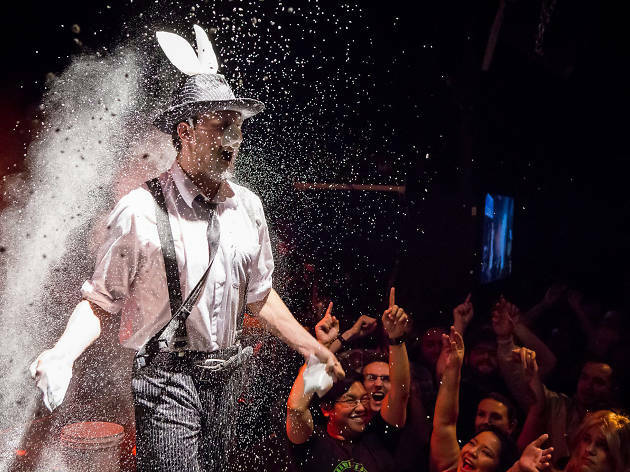 Hoodslam satiates the Bay Area’s thirst for raunchy, violent, alcohol-soaked wrestling matches that go places the WWE simply cannot by enforcing a strict No Kids policy. That is certainly in everyone’s best interest for this month’s installment, Rise of the Toon - An Homage to Saturday Morning, that should see your childhood favorites splattered on the mat in ways no child should ever have to imagine. That doesn’t mean your inner child won’t love it: Enjoy live music, a full bar, and that tingly sensation you get from hanging out in a warehouse where anything can happen.